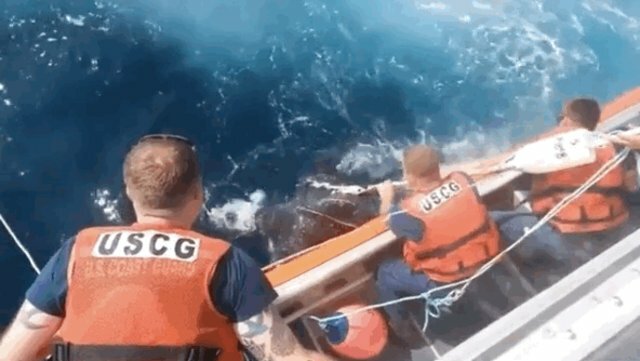 When crew members of the Coast Guard Station in Cape May, New Jersey got a call about a Leatherback Turtle entangled in fishing nets about 30 miles offshore, they sprang into action. With the help of the Marine Mammal Stranding Center in Brigantine, NJ, the team made their way out to the tangled turtle. 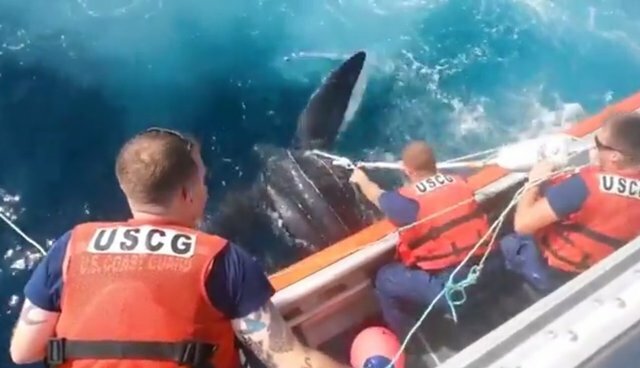 Jay Pagel, of the MMSC, described the enormity of the turtle to Coast Guard News by saying that "based on previous experience, and the size of the animal, carapace length on it was just over about five-and-a-half feet, probably looking at ... roughly about 800 pounds." 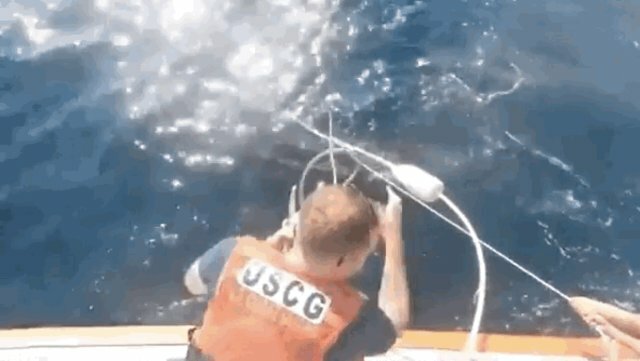 After disentangling the turtle from the buoy line that was looped around its flipper, the enormous turtle swam away unscathed and everyone breathed a sigh of relief. 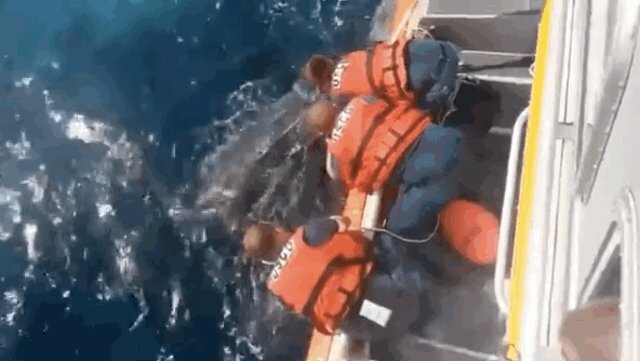 Said Pagel, "the energy level was pretty high ... the guys and myself were all pretty excited that we were able to free the animal, without any further injury to the animal or the crew."